We know that Picard used to have hair. It is possible he was born bald, but his follicles later flowered in full bloom. We can see evidence of this in the episode 'Tapestry' where we follow the adventures of Picard as a cadet, replete with splendid brown locks. The episode 'Violations' shows us a Picard ten years before the events of 'The Next Generation' where his hair has faded to a wispy shadow of its former glory, but it is still present. Then in 'The Next Generation' we see that while Picard's head is shiny, there is still fuzz present on the sides. All this evidence points to Picard having once had a normal 'hair life', seeing his hair rise and fall like any average man (though it should be noted that Picard is an above-average individual). So far, so good. However, something intriguing happens in the classic film 'Star Trek: Nemesis'. 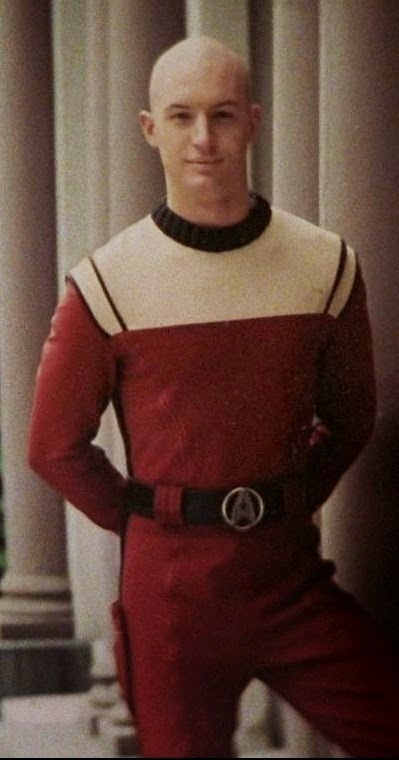 Upon meeting his bald, young clone, Picard investigates some old photographs, and discovers a picture of himself in his Starfleet cadet days. In this photograph, despite being in his 20s, Picard's head is completely devoid of hair. Clearly this cannot be right, as we have seen Picard at this age and older in possession of hair follicles. Something has changed history. Something... or someone! The most likely candidate for hair-thief is Q. Q is a mischievous trickster god, and has often taunted Picard. 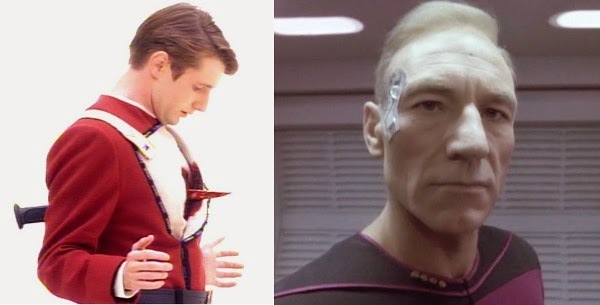 He has also shown an aptitude for time travel and changing Picard's own personal history, for example in the episode 'Tapestry' which dealt with Q going back in time to Picard's cadet days. It is likely that as some sort of joke or cruel trick, Q once more travelled back in time and stole Picard's hair, changing history and rendering him forever bald. Why did he do this? Normal people start to lose their hair at around 50. Q is billions of years old, so by all rights should be completely bald. Yet he has a luscious head of hair. 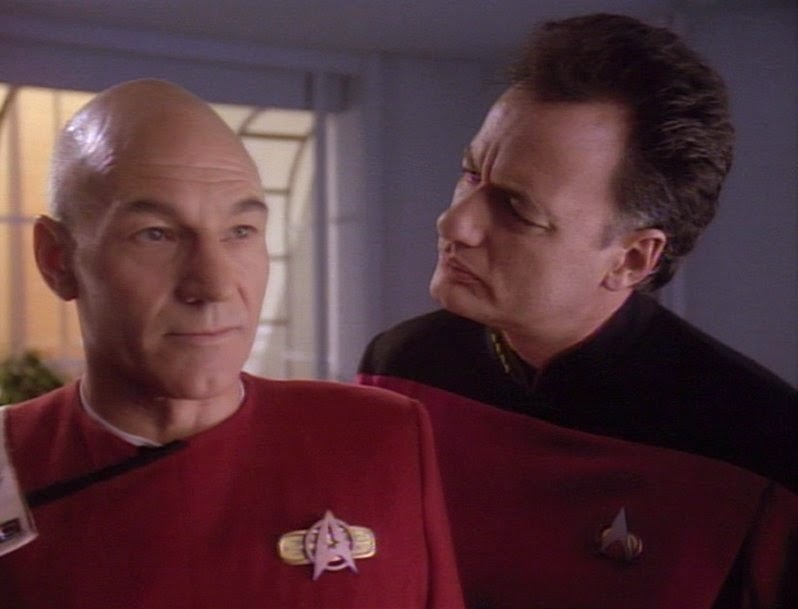 Has Q stolen Picard's hair for his own use? How much more hair has Q stolen throughout history? Is it any coincidence that straight after Commander Sisko met Q (and upset him) that he went completely bald? One thing is certain: Janeway had better watch out!